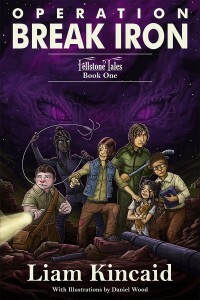 Fellstone Tales takes place on a world very different from our Earth, but alike in some ways. Some of the trees and animals are similar to Earth’s; others are completely alien. Only one of the world’s continents is known to the characters in Fellstone Tales, The Continent of Andaran. There are other continents, far away from Andaran, but they won’t be discovered for some time to come. Andaran is a very large continent, shaped a bit like Australia, but there the similarity ends. Perhaps the most notable thing about Andaran is that it is home to eleven sentient races, known as The Ten Races — and The One. The Ten are somewhat similar to each other, but the Eleventh race, the Seph, are very, very different. The Fellstone Region is located along the Southeast coast of Andaran. Fellstone City, the capital of Fellstone Region, is built around Fellstone Bay, at the extreme south end of the Sea of Narabor. Fellstone City is the capital of the Imperium, and the home of the Iron Fortress and the Silver Palace.